Hi folks, I have 2 brand new V6II with up to date firmware. Trying to get HSS to work with the GH4 and the Bolt VB22 (same as godox 360 etc..."). I have the cactus setup to connect the Bolt via the pc connector as that is all I have but can not get any hss. Read somewhere about the learn function but can not find it anywhere in the V6II menus. 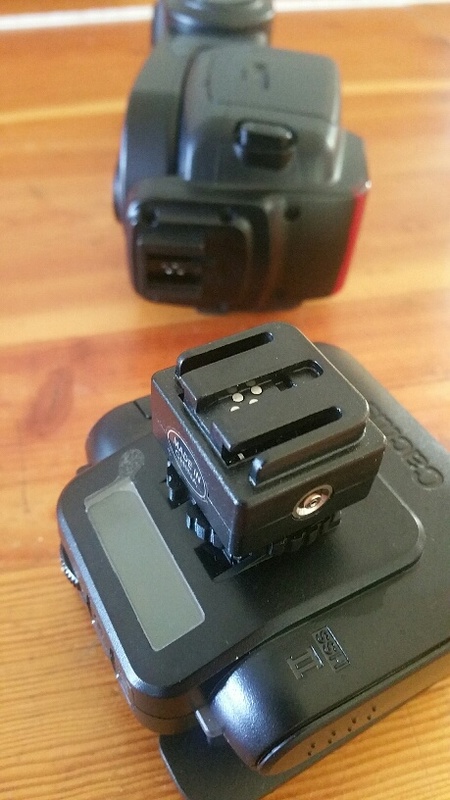 I do not have the Bolt or Godox triggers but do I need them? Also do not understand why it lists Panasonic but there is no profile for Panasonic. The "Learn HSS" function is only required for Fuji cameras, that's why you don't see it. 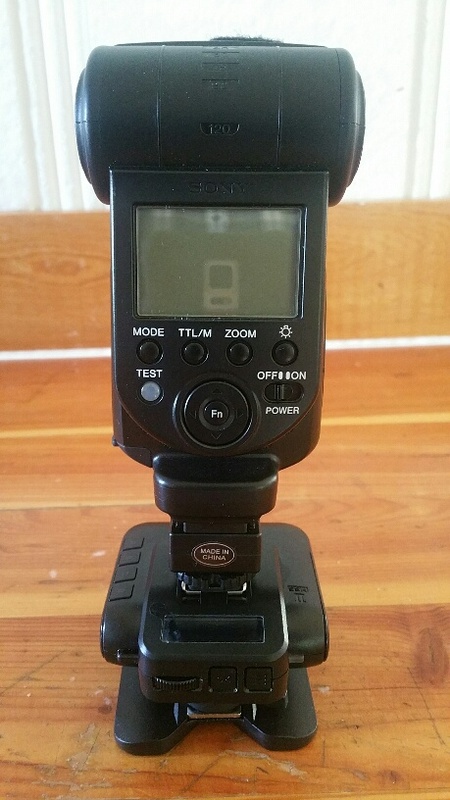 For HSS to work with a Godox 360 (clone), you need to activate HSS mode on the flash manually. Once, you have done that, it should work. The prerequisite, of course, is that the V6II made proper contact with your camera. One way to ensure the latter is to leave the camera system on "AUTO" and then check whether the V6II identified the camera correctly. Remember to keep the camera active (e.g., by tapping on its shutter button) when you turn on the V6II. A Panasonic camera will be recognised by showing a camera symbol with an "O" for (Olympus/Panasonic = 4/3) inside. Once you have established that you are getting reliable contact every time you mount the V6II, you may want to set the camera system manually (to "Olympus (M43)") as that saves a bit of time at start up. That's what I do anyhow. ...I do not have the Bolt or Godox triggers but do I need them? Hello @Thomas, you don't have to use the Bolt / Godox trigger as long as you can turn on the HSS mode on the flash unit. ...Also do not understand why it lists Panasonic but there is no profile for Panasonic. Are you referring to the Camera System? Or Flash Profiles? Camera system: Panasonic shares the same platform as other Micro FourThird camera, such as the Olympus. For naming this camera system we picked "O" because "P" is already taken by Pentax. Flash profile: do you have a Panasonic flash? If you are worred about your Bolt / Godox flash, you don't need to select Panasonic as it is a manual flash? Thank you and let us know if you require further assistance. Thanks folks, both of you helped quite a bit. I did have the flash set for HSS but the issue I had was that the V6II was not seated and making contact well enough that it didn't recognize the camera as the Olympus M43 (or Panasonic) therefore it always came up as "other". Once you mentioned that it should be the M43 profile I was able to seat the V6II well enough to have it recognized properly. Now that it has, the HSS works great with the Bolt VB22. I can confirm this setup works great even in HSS (tested GH4 up to 1/8000) - note that the flash settings will need to be set manually since this is a manual flash. This was just what I was hoping would be the case and by purchasing the Cactus units. Thanks again to Class A and Antonio. Thanks a lot for sharing your setup information. Thought I would act as an unpaid brand ambassador (or fanboy) and share another finding. I had a Sony HVL-58AM that wasn't getting much use but it is HSS capable (thank Sony for making HSS years ago). Since it had the older Sony connection I had to use an adapter (Sony to single pin) to connect it to the V6II. Just for giggles I though I would check to see if it would work with my GH4 setup and Cactus V6II triggers in HSS. Surprise, it works just fine. It does have to be used as a manual flash since my adapter won't work with TTL but it does make an otherwise rarely used flash unit much more valuable to me. Cool. If you want more flexibility with your HVL-58AM, you could get the V6 IIs (for Sony) and the flash can be in TTL mode, so you'll have remote power and zoom control, as well as HSS. If you want more flexibility with your HVL-58AM, you could get the V6 IIs (for Sony) and the flash can be in TTL mode, so you'll have remote power and zoom control, as well as HSS. It looks like the HVL-58AM is using the old Sony/Minolta hot-shoe whereas the V6IIs is providing the new Sony-style hot-shoe. Yes, with the Sony ADP-AMA adapter. This flash model is listed as compatible under the V6 IIs listing. Thanks Antonio, just to clarify for folks. 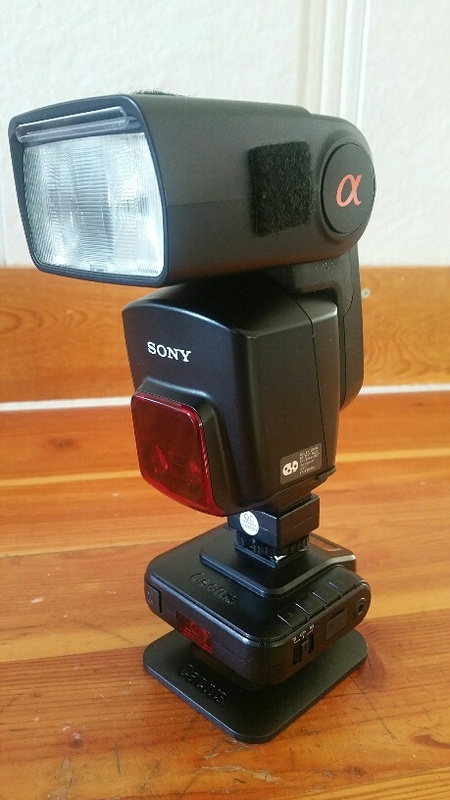 The combination you mention with the V6IIs and APP-AMA adapter will work only if you are using a newer Sony camera with the latest Sony hot shoe (multi-function hot shoe I think they call it), as I am using a Panasonic GH4 camera body with a more standard hot shoe this wouldn't work as the Cactus V6IIs only sits on a Sony camera. It would however, allow a Sony user to place a flash like mine with the older Sony hot shoe onto their camera. Someone may correct me but I do not think there is a combination of adapters that will allow me to use this flash in any other mode but manual. Antonio is right; it does work with an adapter (I only considered direct mounting). The adapter you need, however, is the ADP-MAA, not the ADP-AMA that Antonio mentioned. You don't have to change anything regarding the V6II on your camera. What you need for the HVL-58AM is a V6IIs receiver and the ADP-MAA to make it possible to mount the flash on the receiver. Pretty sure that still wouldn't work since the V6IIs only has a Sony multi-function hot shoe on the bottom to attach to a Sony camera. On top of these units is the same standard hot shoe mount as on any regular V6II. The ADP-MAA takes the old Sony hot shoe mount (like the one on my HVL-58AM) and makes it the new Sony multi-function hot shoe and still won't mount on top of the V6IIs since it is a standard mount. Unless I am wrong and the top shoe mount on the V6IIs also allows the new Sony Multi-function mount as well. If so, then it may work fine. if you compare the V6II with the V6IIs, you'll notice that they feature different hot-shoes on top. While I don't have a V6IIs, I think the only way Cactus can claim that the V6IIs supports "TTL pass-through" is by featuring a proper, modern-style Sony hot-shoe on top of the V6IIs. before mounting on the V6 IIs. Since you've got the 58AM working in HSS on the V6 II using a single pin adapter, that's a great take-away already. Is it not possible for a V6II Tx to set the power and zoom of a flash mounted to a V6IIs Rx? If it is possible, why would he need a Sony camera? Is it not possible for a V6II Tx to set the power and zoom of a flash mounted to a V6IIs Rx? That is indeed NOT POSSIBLE. Sony flash mounted on a V6 IIs (RX) can only be controlled / triggered by a V6 IIs (TX). It's exactly for the same special timing requirement as to Pentax flashes. Sony flash mounted on a V6 IIs (RX) can only be controlled / triggered by a V6 IIs (TX).